The brightest lighting from a ring of 10 white powerful LED lights circling the round and polished 2.75" glass lens. 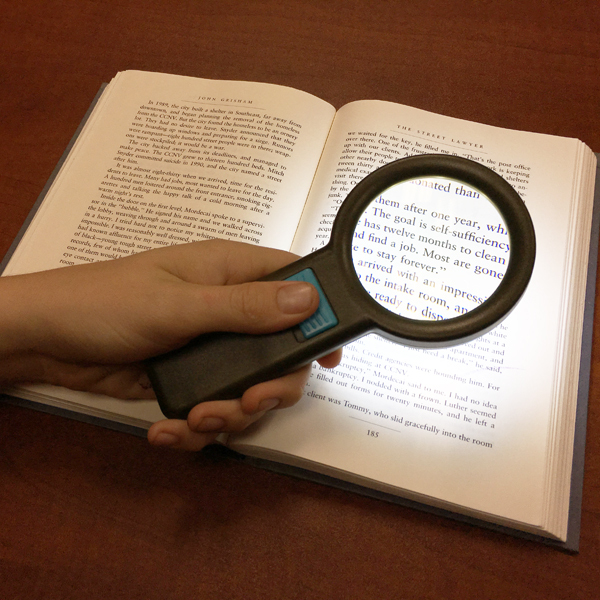 It provides enough lighting and less shadowing to see through the powerful magnification lens when reading. Ideal for anyone for reading or writing and hard to see tasks.